The world changed forever on September 29, 1996, when Nintendo brought its Nintendo 64 to the North America region. The console sold nearly 33 million units worldwide before the switch to the disc-based Gamecube. Many of the N64 titles have become beloved classics, with nostalgic players grabbing any Super Smash Brothers and Mario Kart copies they can. The iconic Super Mario 64 sold 11 million units before the N64 stopped production. While Super Mario was a great (greatest?) game, its widespread production makes finding a copy fairly easy. Which games of the N64 era went on to be collector’s items today? Mario Party 3 followed its two predecessors in its game design, with a game board and minigames. While not selling quite as well as the first two, it was released at the end of the N64’s life. Used copies can go for upwards of $60 now, and this is mostly due to its popularity, rather than limited availability. 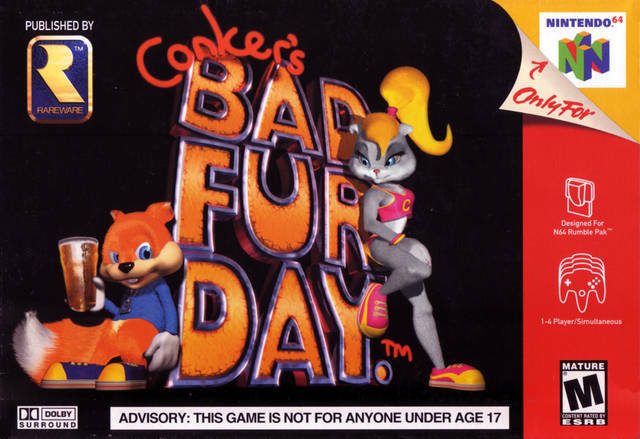 Conker’s Bad Fur Day also suffered from being released late in the N64 life cycle (within a year of stopping production of the console). At the time, it was praised for its stunning graphics (for the system) and its gameplay. It was also notable for being an M-game on the N64 that included sexual themes, gore, and profanity. The game has steadily increased in popularity; standing the test of time with its gameplay along with well intentioned nostalgia. Used copies can go north of $100, with its price increasing given the resurgence in its popularity. However, the new Rare Replay includes Conker, so its value has taken a hit. 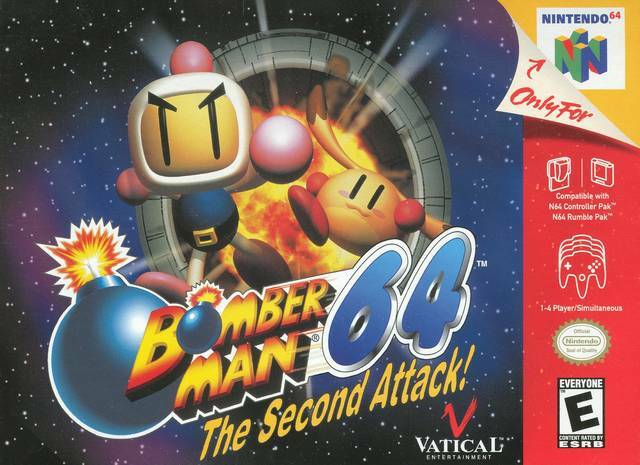 The original Bomberman 64 did not sell particularly well, so it comes as no surprise that its sequel The Second Attack, did not push a lot of units. Again, Second Attack suffered from a late release on the life of the console, but suffered further from rehashing much of the gameplay from the first game. While the first couple games still have strong gameplay, The Second Attack holds value due to its lack of widespread acclaim, and hence, harder to find cartridges. A popular PC franchise, Worm’s Armageddon is another great party-based game on the greatest party system ever created. Worm’s is a turn based strategy game where you used various weaponry to defeat the other players. The game has been a mainstay on the PC, and was ported to various systems, including the N64 in 2000. The gameplay is solid, but the cartridge is very difficult to find, giving it a consistent >$100 price point. Clay Fighter may be the rarest and most valuable US N64 game. An update to Clay Fighter 64, the Sculptor’s Cut was a Blockbuster exclusive. The exclusive added an additional intro and some additional characters. The game itself was outclassed and overshadowed by the iconic Super Smash Brothers, but its monetary value is much higher. The game was only available for rent at Blockbusters, and the boxes/manuals were often tossed by the stores. Finding a boxed copy is extremely expensive (if you can find one), and the cartridge itself is also highly valued: $300 and up on Amazon. There are some other games that often go for high collectible value in the N64 catalog including: Harvest Moon 64, Starcraft 64, Ogre Battle 64, and Snowboard Kids 2. These titles are often competing for that 5th slot above in price and rarity, and are often sought after due to their franchise popularity (Starcraft, Harvest Moon). So glad I bought Snowboard Kids 2, and Goemon’s Great Adventure when they were new. 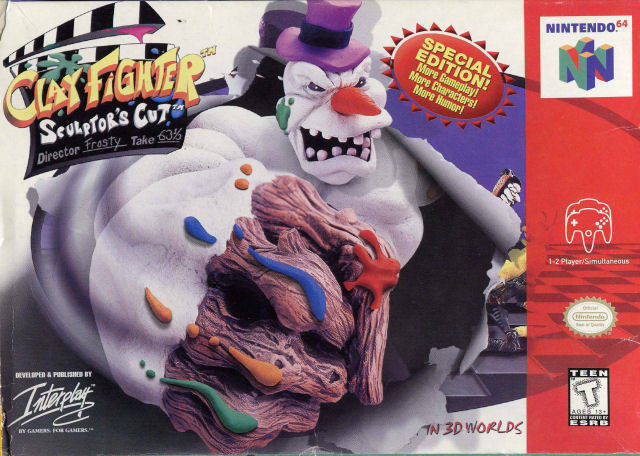 I bought a Clayfighter Sculptor’s Cut a few years ago in phenomenal near mint condition (but not case in box) as well as an equally great condition Worms Armageddon and Conkers. I had Harvest Moon 64 but love it too much to sell it. But alas, with my 20 or so N64 carts and with a 7 year old half brother’s birthday coming up – and he loves his N64 I bought him I wanted to dump a couple of my cheap games on him. Monaco Grand Prix and this little Bomberman the 2nd Attack I never played except once. Good thing I checked here. Nice finds! Yea, I’d hold onto to some of those, especially Clayfighter. You’ve almost collected all the top ones. I have some experience of Conker’s Bad Fur Day. I think I knew someone who bought it off eBay about ten years ago, I cannot remember how much he paid. I owned a copy of Bomberman Hero, after being told that it was a much better game than Bomberman 64 (as Bomberman could not jump), so I am surprised that a sequel was made. Why was a sequel made for Bomberman 64, but not Bomberman Hero? 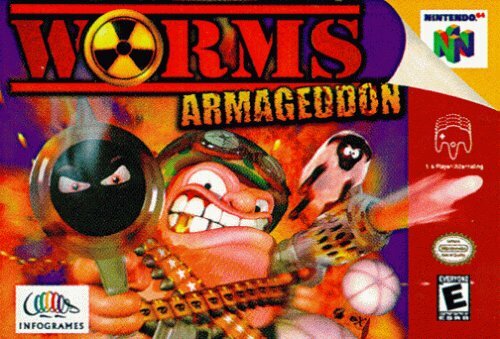 I am surprised Worms Armageddon is worth so much, I had a copy of the original Worms game on Gameboy and found the version on the PC was much better, as the controls were easier and allowed more freedom. What is Clayfighters? I remember the vicious snowman, but not the game itself. 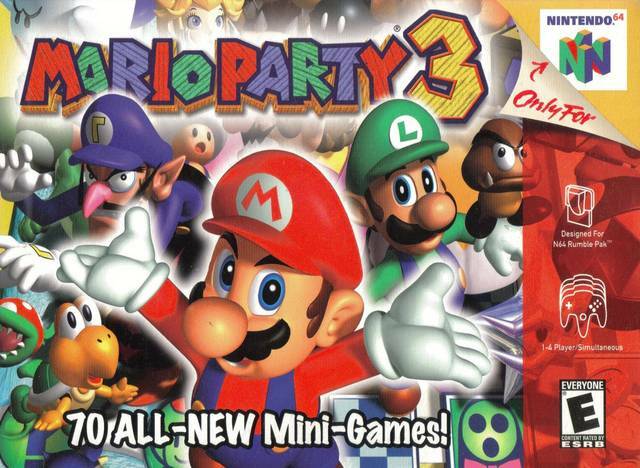 Was Mario Party 3 especially popular? I remember when I use rent these games, back in the day, from a local video store. Times have certainly changed! I do want to get a copy of Conker’s Bad Fur Day eventually. Definitely a classic! I own Mario Party 3 and Conker’s Bad Fur Day. I had no idea the former was so valuable. It is a great game and my favorite Nintendo 64 entry of the Mario Party series. I owned Worms… and gave it away. Great 😛 Had no idea it was worth anything, and it pales in comparison to the PC version so I wasn’t anxious to hold onto it. Huh. I’ve played all of these except for Worms, yet never actually owned a single game on this list. I do still have both Harvest Moon 64 and Ogre Battle 64, though. Both of them really good games, too. My uncle owns Conker’s Bad Fur Day. I bet he is not amused that this game as depreciated in value due to the recent collection. What’s really annoying is that I owned three of these once upon a time!! Conker, Second Attack, Worms. My N64 days were while sharing a flat so Bomberman games were (excuse the pun) a blast! I had ALL of these games at one point…I assume I probably sold them or traded em in for pennies haha. I think I’m gonna keep my games from now on. Maybe not to sell them, but at least for bragging rights. I noticed Pikmin 3 is rare now? I got it as a club nintendo gift so I traded it towards something else…I think I got 15 bucks for it hah!